Economy Black Refuse Sacks from Carrier Bag Shop, Supplier of Bin Bags, Refuse Sacks and Rubbish Bags. 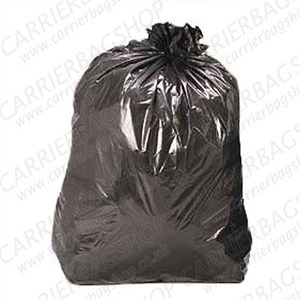 Our Economy range of refuse sacks is perfect for use in Industrial, Commercial and Domestic environments. New Bulk Buy packs of 2,500 or more bags for even bigger discounts!